Includes the names: Thaler Richard H.
Free author event with Cass Sunstein and "#republic: Divided Democracy in the Age of Social Media"
Please join us on Sunday, April 2 at 3pm, when Cass Sunstein presents his new work, "#Republic: Divided Democracy in the Age of Social Media." This is a free event; there will be time after the presentation for Q&A and book signing. Cass R. Sunstein is the Robert Walmsley University Professor at Harvard Law School. His many books include the New York Times bestsellers "Nudge: Improving Decisions about Health, Wealth, and Happiness" (with Richard H. Thaler) and "The World According to Star Wars." He lives in Massachusetts. As the Internet grows more sophisticated, it is creating new threats to democracy. Social media companies such as Facebook can sort us ever more efficiently into groups of the like-minded, creating echo chambers that amplify our views. It's no accident that on some occasions, people of different political views cannot even understand each other. It's also no surprise that terrorist groups have been able to exploit social media to deadly effect. Welcome to the age of #Republic. In this revealing book, Cass Sunstein shows how today's Internet is driving political fragmentation, polarization, and even extremism--and what can be done about it. Thoroughly rethinking the critical relationship between democracy and the Internet, Sunstein describes how the online world creates "cybercascades," exploits "confirmation bias," and assists "polarization entrepreneurs." And he explains why online fragmentation endangers the shared conversations, experiences, and understandings that are the lifeblood of democracy. In response, Sunstein proposes practical and legal changes to make the Internet friendlier to democratic deliberation. These changes would get us out of our information cocoons by increasing the frequency of unchosen, unplanned encounters and exposing us to people, places, things, and ideas that we would never have picked for our Twitter feed. Richard H. Thaler discusses Nudge: Improving Decisions About Health, Wealth, and Happiness. Event location: *Luncheon at a downtown club, To be announced, Chicago, IL 60600. * Call (847) 446-8880 for reservations. 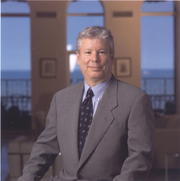 Richard H. Thaler is currently considered a "single author." If one or more works are by a distinct, homonymous authors, go ahead and split the author. Richard H. Thaler is composed of 2 names. You can examine and separate out names.